An important first step of content marketing success is creating exceptional content for your audiences. A vital next step is getting that content to your audiences. Localizing and translating your content will help all of your audiences find your content useful and relatable. Globalization Partners International’s (GPI) Translation Services Connector for HubSpot makes that process streamlined and simple. HubSpot is a pioneer in the inbound marketing space. One of their founders, Brian Halligan, coined the term “inbound marketing” in 2004. HubSpot offers a marketing automation platform and is a thought leader in content marketing. HubSpot customers use the marketing automation tool to create remarkable content and deliver it across all of their channels to their customers. Users guide contacts and leads along the buyer’s journey from the awareness stage to the decision stage creating many delighted customers. 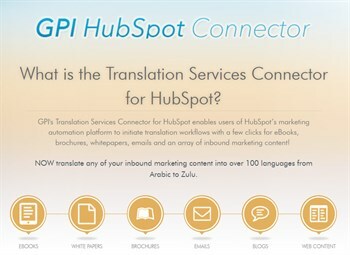 GPI’s Translation Services Connector for HubSpot enables users of HubSpot to easily send and receive a variety of marketing content for translation from ebooks and brochures, to videos and blogs. The Translation Services Connector streamlines content translation workflows and users will gain access to an array of reports to track and manage global translation projects through GPI’s Award Winning Translation Portal. The HubSpot Connector is free. 24/7 secure access for your global teams to collaborate and track translation projects. Dashboard to view status reports, schedules and project task lists. 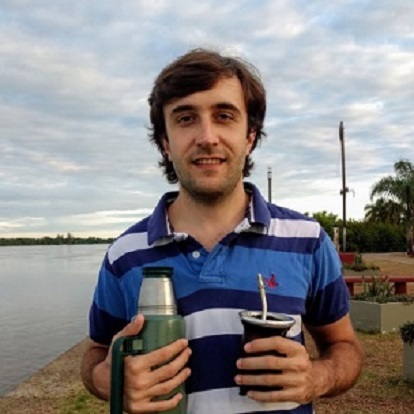 GPI’s Translation Services Connector helps HubSpot users translate all of their inbound marketing content to help engage customers in any language and for any locale. Whether you need a landing page in Chinese or a blog in Spanish, GPI’s team of translators, digital marketing specialist and project managers can help. GPI’s team of language experts and global digital marketing specialists will ensure that your content is localized and translated for all of your target audiences.